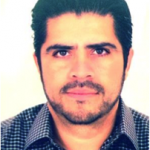 Hector heads the Market Research area for Etihad since 2015, he has over 15 years experience on marketing research – advanced analytics, he worked in Mexico and Brazil prior to move to UAE. Hector worked for global research companies like TNS; where he played a key role in the Latin American Marketing Science Center, as well he worked in Synovate and Marketing Group do Brazil where he was the International Director. He has a Master degree in Business and an Applied Statistics Degree in one of the most important universities of Latin America.